Though the weather outside is toasty, it is fall! Prior to my interest in all things culinary, I didn’t much care for this particular season. Junior lifeguards was over, I was back in school, days were becoming shorter, and the weather nippier. But not yet cold or stormy enough to provide me a hill of snow to ski. But now, food is the focus of my fall folly. I really like illiteration, so sentences like that are gonna happen sometimes. Here we have an acorn squash. 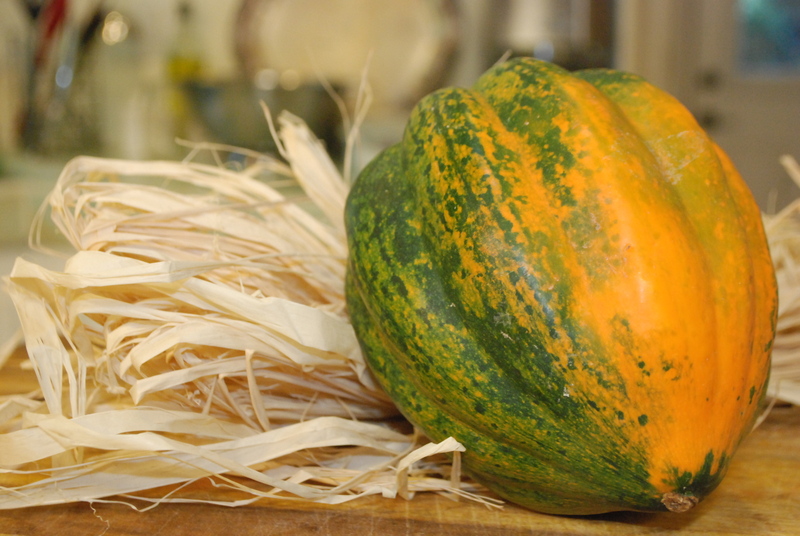 I was looking for a delicata squash, but the farm stand I stopped at didn’t have any. Not to worry, only slightly sad-face. 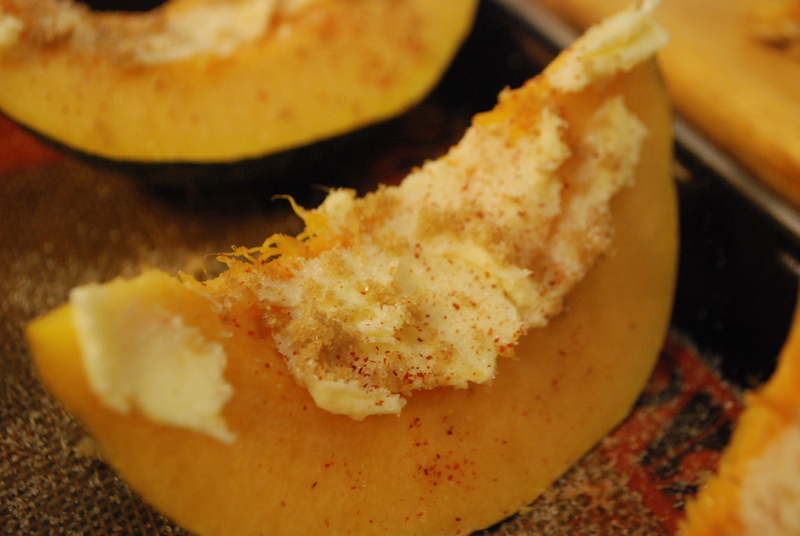 Acorn squash is prepared and cooked the exact same way as delicata squash and I’m pretty sure any other winter squash. There are too many different types of squash to name here, but I got very excited when I cam across one called Long Island Cheese Squash. Sadly, it is only called cheese squash because it closely resembles a wheel of cheese, not for it tasting like cheese, which of course would be incredible. First step is to cut it into into 1-2 inch sections. Make your life a bit easier by not trying to cut it directly down the middle. If you do that, you will have to cut through that super hard stem. No fun! It is already hard enough to cut up as it is. Smear these sections with softened butter. Sprinkle with brown sugar, salt, and a dash of cayenne pepper. Oh goodness, does the heat of the cayenne set this dish apart! 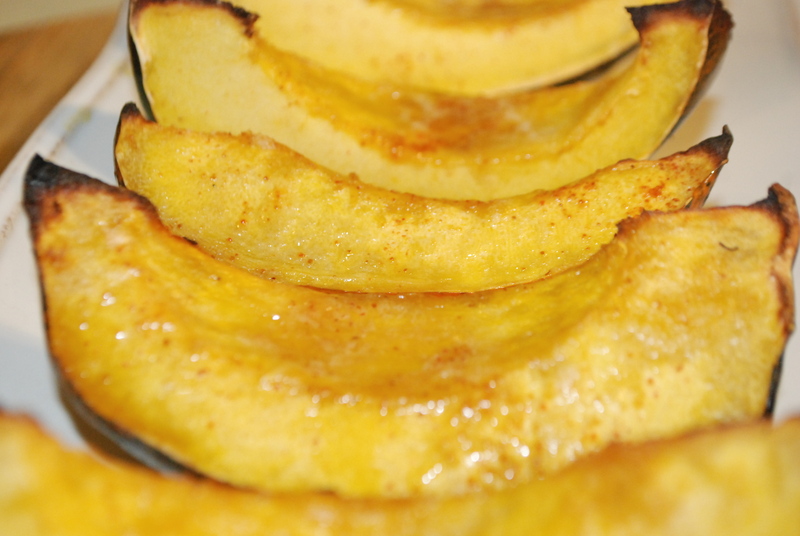 Bake in a 450 degree oven for 30-40 minutes, until the flesh has golden brown bits to it and the squash can be cut like butter. I love this dish served on a long rectangular plate, but if you don’t have that, I bet it would be pretty in a circular pattern on a round plate, looking like the sun’s rays. I noticed some toasted pecans on top of my fridge, so chopped those bad boys up and sprinkled them on top. Veggie roasting: expert level! The cayenne pepper really makes this stand out from what I’ve seen before. Awesome. 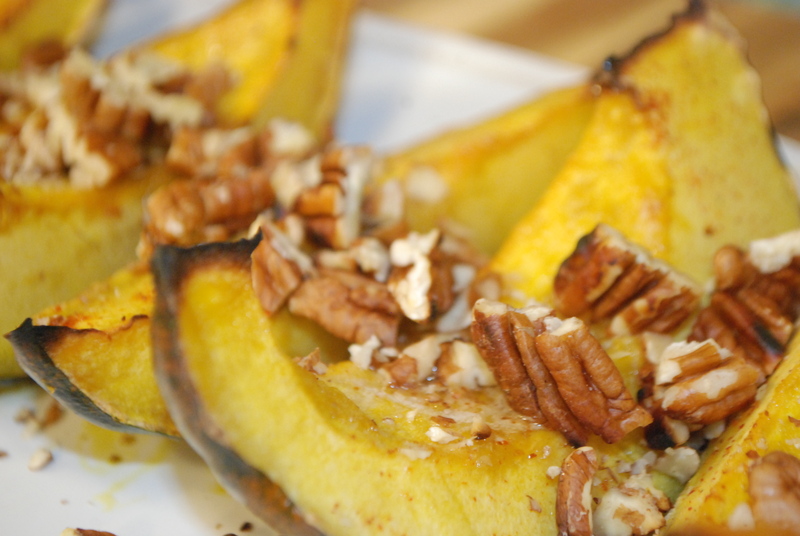 Lauren, your Roasted Acorn Squash looks beautiful in the pictures and I bet, it tastes even better. 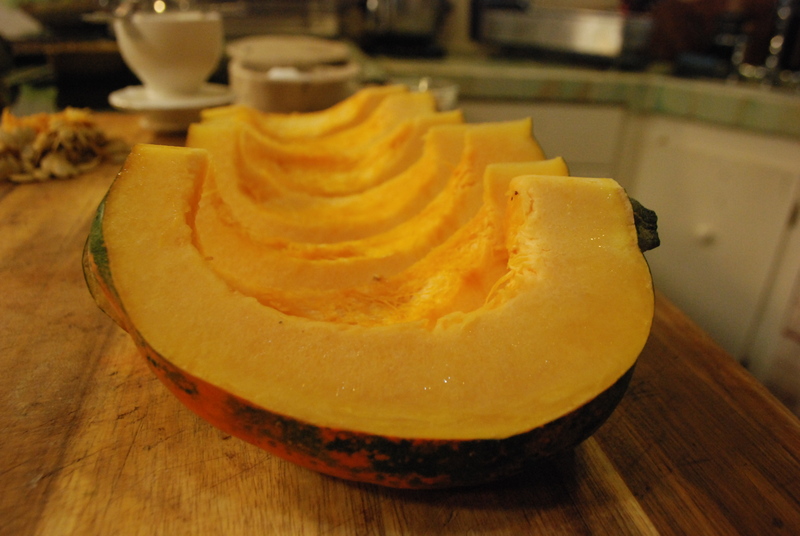 Now, why did I buy a butternut squash and not an acorn squash? I might need to wait for your raviolli recipe as Kendal suggested. Thank you Basia! It is definitely a yummy dish and so easy! I will post a ravioli recipe very soon.